It’s April Fools and you’re probably sick of those lame old knock knock jokes that people keep making, so you decided to stay home and watch some quality comedy anime instead. Well if you’re looking for recommendations, you’ve come to the right place! 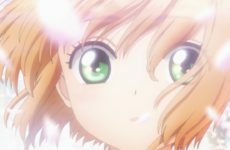 Here are a few anime that you might want to watch today. Satire. That just about sums this up. 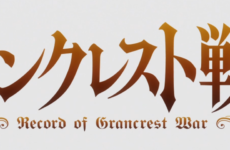 A satirical and comical music anime with those sharp, manly chins some of us who have watched this have come to love. Most of the characters are based off generic reverse-harem guys and heck, some guys even have their very own music videos! Everything is just so bad, it’s hilarious. Its only redeeming point is the voice acting, watch and find out why. It’s definitely something I would recommend if you’re looking for an anime with preposterous body proportions and disastrous animation! I know romcoms are super mainstream and they’ve gotten pretty boring with the same old jokes and the cliche “romantic” scenes, but what makes Gekkan Shoujo Nozaki-kun so different is that the love interest of the main protagonist is utterly oblivious and so dense, it’s almost frustrating and it can be a pretty funny conversation starter. 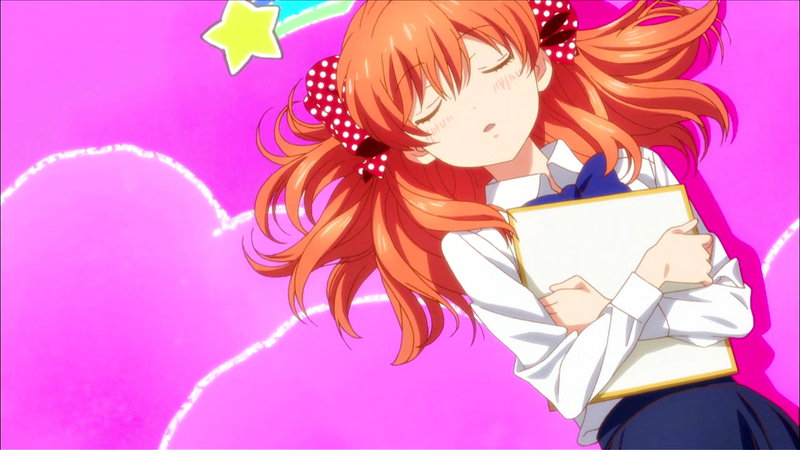 After Chiyo, the main protagonist, confesses to her love interest, Umetarou Nozaki, he misunderstands and hands her an autograph. How can one be so dense? Why an autograph? Find out in Monthly Girl’s Nozaki-kun! Who would’ve thought the once respected Demon King could work for a fast food chain in modern Japan? Well this anime really takes the cake. A story about a once feared, powerful Demon King to be humbled by the serenity and peacefulness of his life in modern Japan, to be reduced to an “underling” as called by his own underling is pretty impressively thought out. 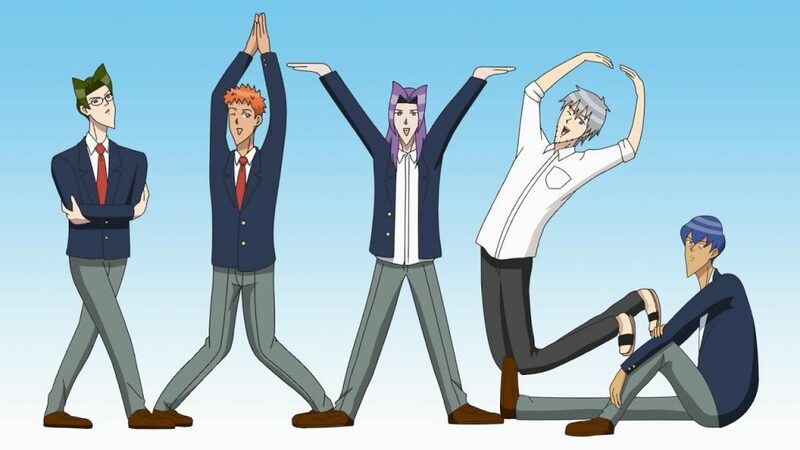 I had a pretty good laugh from this anime and I have absolutely no regrets or criticism for it. What do you think is the last thing that could be defined as normal? Definitely Haru in my books. This isn’t your average romcom either where a good looking, charming guy meets the beautiful heroine and romance ensues, no. 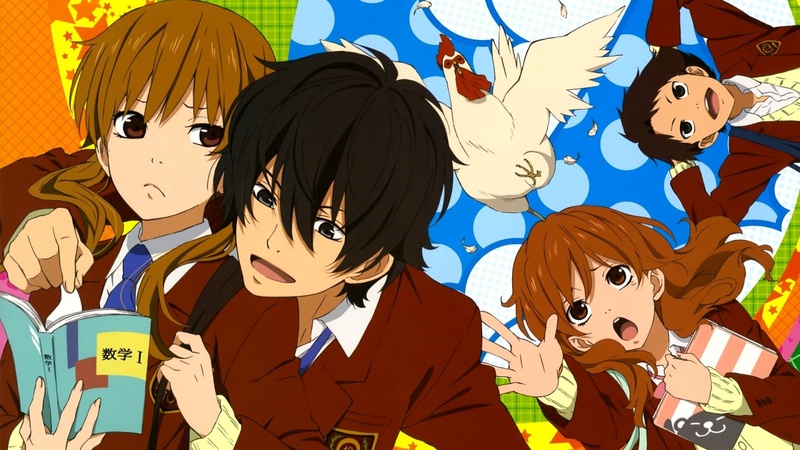 The protag, Shizuku, and her love interest, Haru, have a rough start with Haru jumping out of a window to escape taking his homework from her due to his absence at school. Their relationship is never stable and it’s mostly filled with confusion. I won’t say much about what happens in the comedy scenes because those could be considered big spoilers but I recommend that everyone should give it a watch, especially on April Fools. 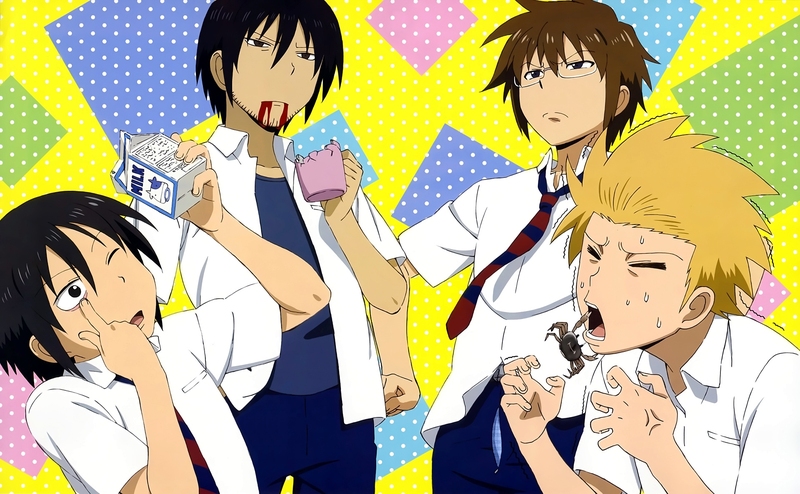 We all know what it’s like to be in school and how random it can be with the students, but Danshi Koukousei no Nichijou takes it to the next level with it’s very own perverted, imouto-loving degenerates who just can’t seem to grasp the concept of being normal. Then again, they wouldn’t be very entertaining if they were prim and proper. This is an anime almost anyone can enjoy due to the unexpected events happening in the daily misery-filled lives of highschool boys. Now, after Danshi Koukousei no Nichijou we know that any comedy anime that is titled with anything that relates to normal is hardly normal. 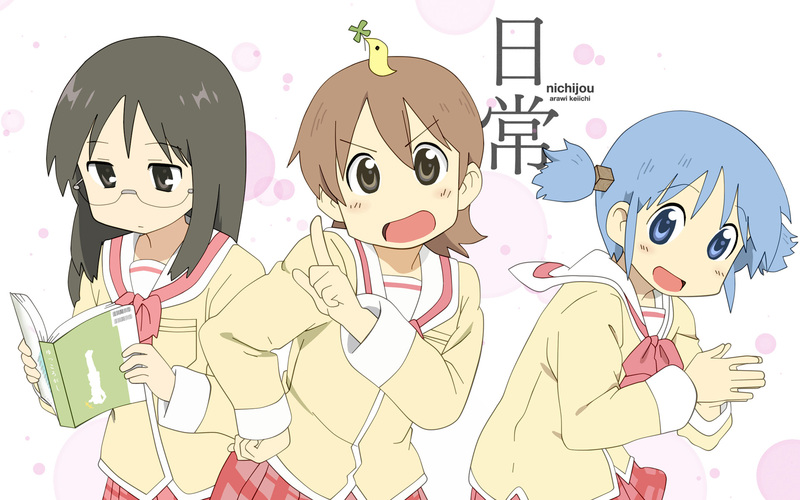 Nichijou is the epitome of a hectic, non-regulated school life. I mean, what headmaster would take on a goddamn goat on school grounds and win? Nichijou is loved for the exaggerated reactions of their characters and it’s one of the few animes, if not the only one, which mentions a Malay greeting. It’s a classic comedy anime loved by all and it’s a pretty good one too! From a katana-wielding waitress to the manager probably being in charge of something yakuza related, this anime is a trainwreck. 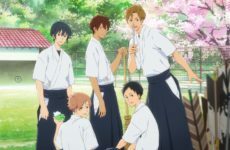 It’s based around a bespectacled teenaged boy that recently started working in a cafe. 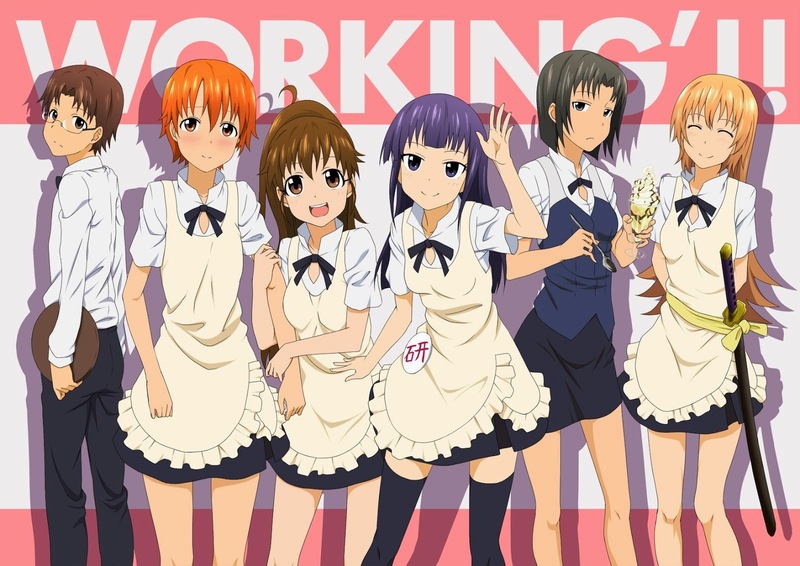 What seems to be a normal job turns out to be filled with hilarious events and funny antics from various characters. This is obviously not your average cafe and I have to say this one really got me. It’s a pretty good anime to spend your April Fools binge watching. 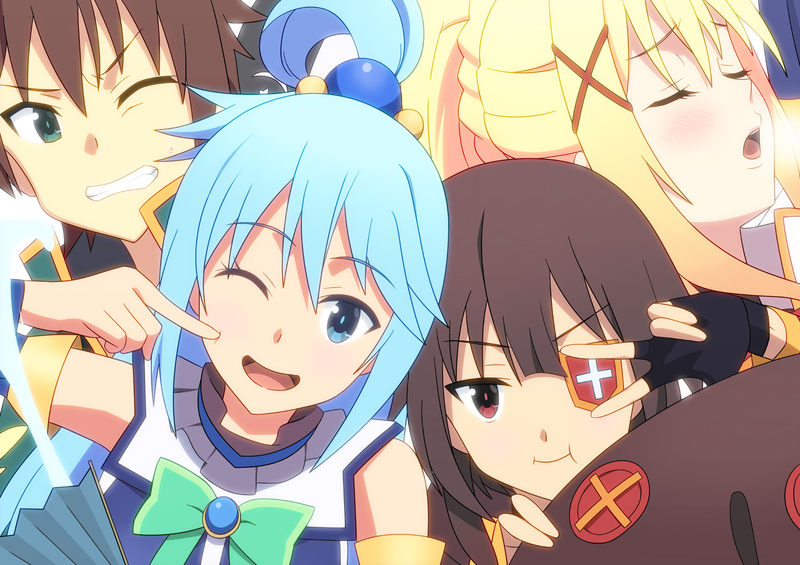 Konosuba is pretty loved, not as much for its action scenes or plot, but for its comedy. It revolves around Kazuma, a guy who had died pathetically and was given the chance to be reincarnated into a fantasy world with any one thing he wished for. In short, he made a lot of bad choices and and his antics are nothing but extremely amusing in various aspects. 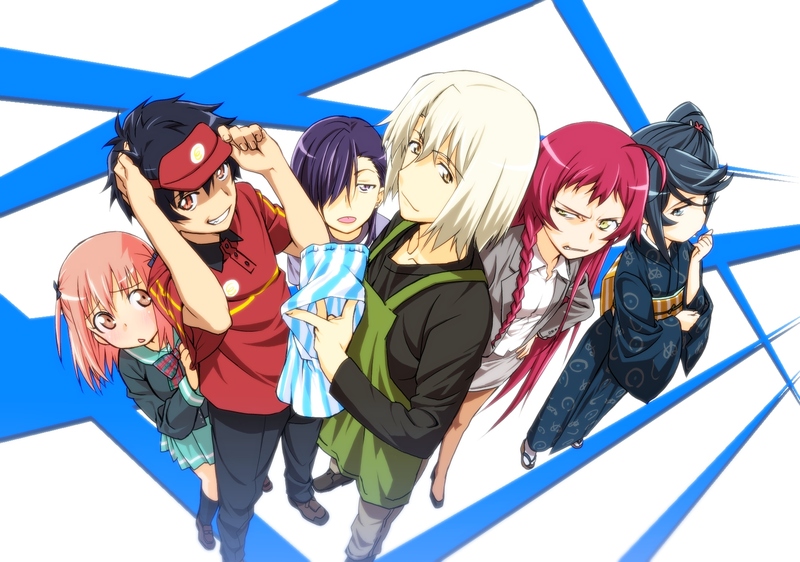 If you like dirty and dry humour, this is your anime! That’s it for our recommendations, Happy April Fools and happy watching!